"It's gonna be real cool," says T-Pain. "Basically, you can add Auto-Tune to your voice and send it to your friends and put it on the Web. You'll be able to sound just like me." 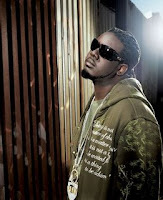 Asked if that might render him no longer unique, T-Pain laughs: "I'm not too worried. I got lots of tricks you ain't seen yet. It's everybody else that needs to step up their game."